A four-member delegation comprising of representatives from different universities and strategic research organizations from the Republic of Turkey visited Preston University, Islamabad. At the outset the delegation was shown around various departments and facilities located at the Islamabad Campus of the University. 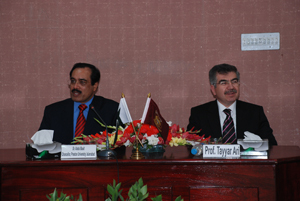 The Chancellor of Preston University, Dr. Abdul Basit and senior management were present on the occasion. Later, a formal meeting was held between the senior management, faculty and the visiting representatives of the referenced Turkish institutions. 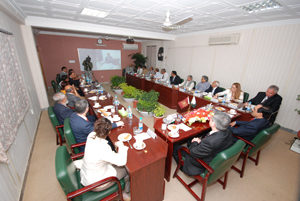 The meeting was presided over by Dr. Abdul Basit, Chancellor Preston University. Before the formal proceedings of the meeting, the honorable members of the Turkish delegation and the senior faculty of Preston University introduced themselves to each other. The introduction was followed by screening of a documentary on Preston University. Dr. Abdul Basit gave a detailed briefing to the visitors about Preston University. He highlighted the academic programs the university is currently offering at the undergraduate, graduate and PhD level. On the occasion, he also highlighted the achievements of the university, since its inception in 1984. He informed the distinguished members of the visiting Turkish delegation that Preston University has the distinction of being the first private university of Pakistan. He said that Preston University is a duly chartered and recognized independent degree awarding private university. 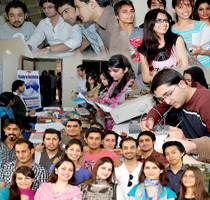 He further said that Preston possesses two charters, and its campuses are situated in all the major cities of Pakistan. Dr. Basit said that with the establishment of its campuses in China and the Middle East, the university has now acquired international status, and could now rightfully be called an international university. He also said that the university takes genuine pride in the fact that all its major campuses have been granted “A” Grade by the highest regulatory authority of the country, in the field of higher education, the Higher Education Commission, Government of Pakistan.